On the basis of the foundation&apos;s goals and mission statement, the DBU supports and nurtures innovative, exemplary and solution-oriented model projects for the protection of the environment. It pursues these goals under the rubric of sustainable development in its ecological, economic, social and cultural aspects, with special consideration of small- and medium-sized businesses in their dynamic diversity. In this sense, environmental protection can also be understood as health protection. 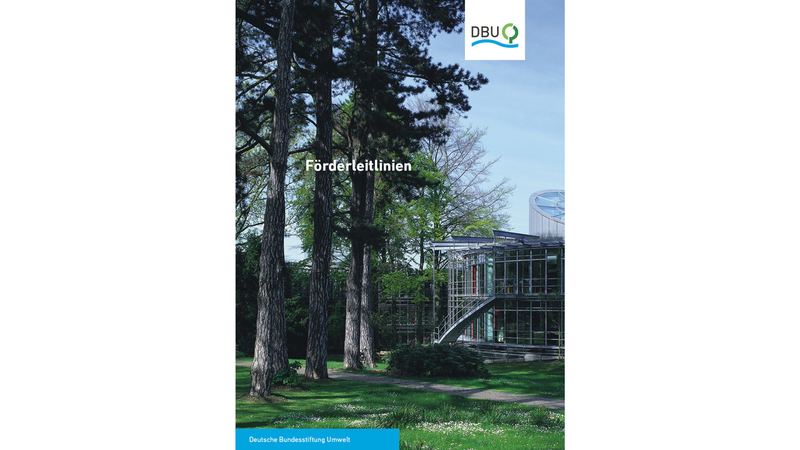 The DBU&apos;s support offerings are thus oriented towards interdisciplinary funding topics, which are constantly being adapted to the changing requirements of environmental protection. This also opens up the possibility, by supporting a wide range of research areas, of taking up the innovative ideas of project partners, and encouraging innovative environmental protection initiatives with special significance, which lie in areas outside the narrowly-defined support subjects. Complex environmental problems can only be brought under control through approaches which integrate interdisciplinary and systemic action with a practical social basis. DBU support programs are intended to set accents, and thus consistently integrate in their spectrum of support areas the statutory fields of endeavor. The DBU sees the crucial challenges above all in the areas of climate change, biodiversity loss, unsustainable consumption of resources, and harmful emissions. The support areas thereby address both current scientific findings on planetary limits, and the UN&apos;s Sustainable Development Goals (SDG).